Surf 303 El Faro Beach Front Building in Downtown Beachfront, Playa del Carmen is Sold! in Downtown Beachfront, Playa del Carmen The single story at Surf 303 El Faro Beach Front Building has been sold. In the Heart of Little Italy! • 2600 sqft , 2 bath , 2 half bath , 2 bdrm duplex – FOR SALE USD499,000 . Ocean & Jungle View! This condo for sale in Playa del Carmen features a sunny, spacious floor plan in a perfect location with a view and sounds of the ocean nearby! Just a one-block stroll to the white sands of exclusive Mamitas Beach, and a stone’s throw to Playa’s quaint restaurants, boutiques, and nightlife on 5th Avenue. Enjoy all the amenities of the two public beach clubs at Mamitas Beach: chair/bed rentals, bars, restaurants, restrooms, spa services, volleyball, and swimming pools. With 1,500 square feet indoors and another 1,100 square feet outdoors, this Playa del Carmen condo for sale has plenty of room to spread out and relax! Travertine floors, granite countertops, Weber gas grill, and air conditioning are just the beginning of the list of luxuries you’ll find here. This end unit boasts oversized balconies off of the living room and bedrooms. In true penthouse style, the incredible rooftop solarium includes a splash pool, half bath, and an outdoor shower. The complex also features secure and private underground parking. This beautiful condo for sale in Playa del Carmen is located right off of the popular beach, Mamitas Beach, giving you ocean views and easy access to beach volleyball, water sports rentals, and beach clubs. 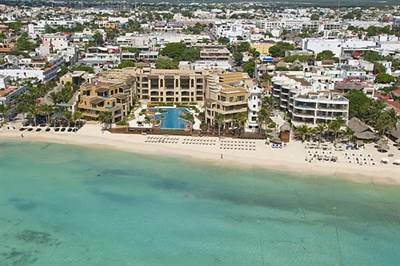 It is also in the heart of Playa del Carmen, with access to the old town and the lively, growing new development in the northern part of the city. Adjacent to this home are beautiful mangroves and an old, retired lighthouse that keeps watch over you. The living space is extra large (for Playa), yet it’s a relatively small condominium building (24 units), giving you privacy and a sense of home. The oversized upstairs terrace has been home to many all-night jam sessions under the stars with local musicians. Are you ready to call this your new home? Call us now for more information or to schedule a viewing. Excellent central location! Close to Everything! • 1432 sqft , 2 bath , 1 half bath , 2 bdrm single story – FOR SALE USD229,000 . Best Price per Sq. Ft. in this Area! 2-Bedroom condo for sale in Playa del Carmen, Quintana Roo, Mexico. 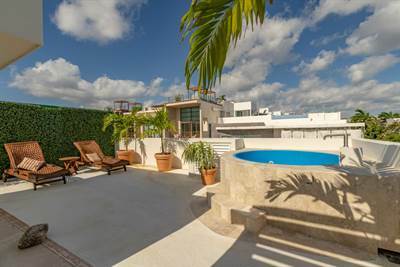 Located just 2 blocks from 5th Avenue, this iconic Playa del Carmen condo for sale is truly walking distance to everything including Playacar, famous downtown Beach Clubs, restaurants and nightlife, stores, schools, and transportation hubs. Hacienda del Carmen is one of Downtown Playa’s most recognizable buildings due to its Mexican Hacienda style inside and out, featuring vaulted ceilings and colorful finishes. *Large spaces with high ceilings. *Shared pool and garden area. This wonderful condo for sale in Playa del Carmen is ideal for buyers and investors looking for a profitable second home in Playa del Carmen’s most desirable area. Priced to sell, this condo will go fast! Call us now to schedule a viewing or to get more information about this great Playa del Carmen condo for sale. 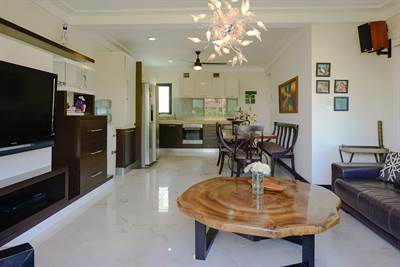 • 3229 sqft , 3 bath , 4 bdrm single story – FOR SALE USD525,000 . Right on the Golf Course! 4-Bedrrom villa for sale in Puerto Aventuras, Quintana Roo, Mexico. Casa Victoria is a beautiful brand new villa located on the golf course in the exclusive gated community of Puerto Aventuras. This community’s convenient location allows easy access to the amusement and eco-parks in the area, as well as cenotes, beautiful beaches, and Mayan Ruins. 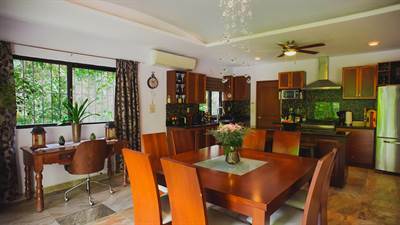 Casa Victoria is a modern, spacious and tastefully decorated villa for sale in Puerto Aventuras, with 4 bedrooms, 3 baths, pool with 2 levels ( Kids area). This lovely home for sale in Puerto Aventuras has been built and finished to the highest standards, and equipped with everything you need. The kitchen has granite countertops, stainless appliances, a gas cooktop, and lots of storage. There is plenty of seating available in the living area, as well as a large, flat screen TV. The dining area is light and airy. The villa is about 8-minute walk to the beach and 12-minute walk to restaurants and shopping area. *Terrace with an outdoor table with 6 chairs and lounge area for up to 8 people. *Pool with kids area and shaded area. *Downstairs bedroom with a Queen bed. *Master Bedroom upstairs with King bed and en-suite bathroom with large jacuzzi. *Master bedroom terrace overlooking the golf course. Puerto Aventuras is the perfect destination for families! You can explore on foot, bicycle or kayak…Dolphin Discovery, tennis, golf, beaches, fishing, boating, schools, shops, and restaurants are at the heart of this lovely community. There truly is something for everyone! Ready to see it for yourself? Call us now for more information or to schedule a viewing. • 3 bath , 1 half bath , 3 bdrm 2 storey – FOR SALE USD499,000 . Fully Furnished and Tastefully Decorated! Wonderful 3-bedroom home for sale in Tulum’s “La Veleta” neighborhood. This tastefully decorated home for sale in Tulum has a great rental history, making it perfect for smart investors looking for a profitable second home. * Garden area with private pool. 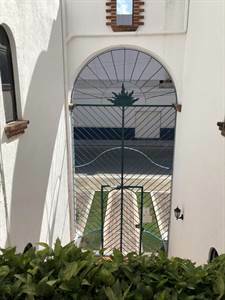 Casa Madonna features a large garden with private pool, open concept living room and kitchen, and 2.5 bathrooms on the ground floor, and a master suite with walk-in closet and safe plus a large balcony on the top floor. This hacienda-style home for sale in Tulum features tasteful decoration throughout and state-of-the-art appliances. This home for sale in Tulum is located in “La Veleta”, one of Tulum’s newly developed neighborhoods which is particularly popular among expats due to its high ROI and privileged location close to downtown Tulum, but still with easy access to some of the best Beaches in the Mexican Caribbean. This is a great opportunity to own a magnificent property in Tulum! Call us now for more information or to schedule a viewing. Condos for Sale in Tulum: Only 6 units available! • 1677 sqft , 2 bath , 2 bdrm single story – FOR SALE USD260,000 . Great pre-construction pricing won't last! 2-Bedroom condos for sale in Tulum, Riviera Maya, Mexico. 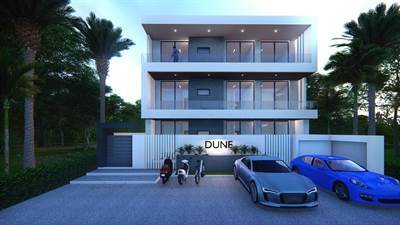 Welcome to a new luxurious development in the heart of Tulum’s “La Veleta” area. 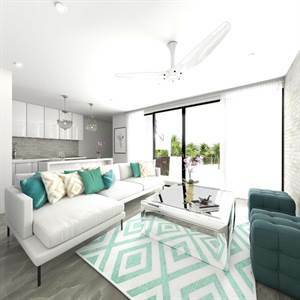 Located only a few blocks from Kukulkan Ave, the newest beach access road, and a few blocks away from Aldea Zama, these condos for sale in Tulum are the perfect place to enjoy life in Riviera Maya. Nowadays “La Veleta” is an extremely popular area for Real Estate developments offering excellent ROI, allowing you to have a privileged lifestyle in a premium area while enjoying the security of a residential zone. 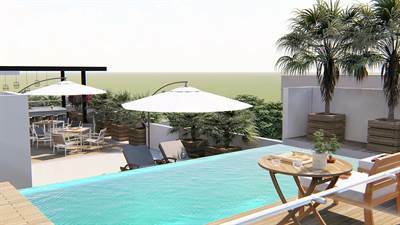 This brand new Tulum Real Estate development combines beautiful Contemporary design and high-end finishes. These Tulum condos for sale are a little jewel hidden between the jungle and the breathtaking beaches of Tulum. *6 apartments for sale in total. The rooftop terrace has a spacious private cooking area, sitting area, and a glass-side pool with beautiful finishes and shade from the hot Caribbean sun, overlooking the main pool and the jungle. Delivery is scheduled for December 2019, so these pre-construction prices won’t last! Call us now for more information about these condos for sale in Tulum. Condos for Sale in Tulum: Brand-New! • 753 sqft , 1 bath , 1 bdrm single story – FOR SALE USD130,000 . Pre-Construction pricing! 1-Bedroom condos for sale in Tulum, Riviera Maya, Mexico. Itzen: Affordable 1 Bedroom Tulum Condos for Sale in La Veleta is Sold! in La Veleta The single story at Itzen: Affordable 1 Bedroom Tulum Condos for Sale has been sold.